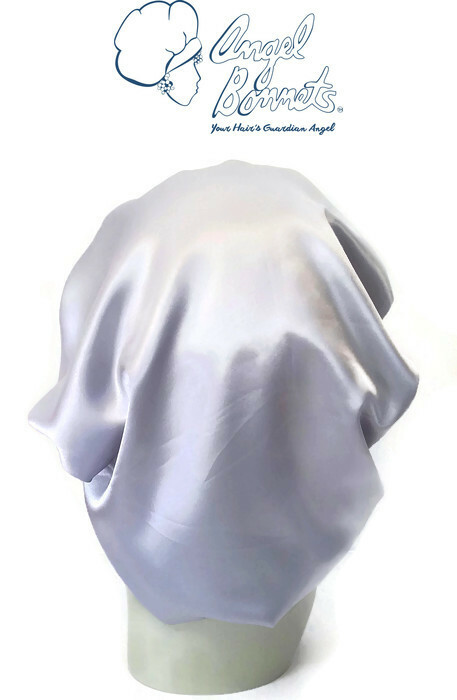 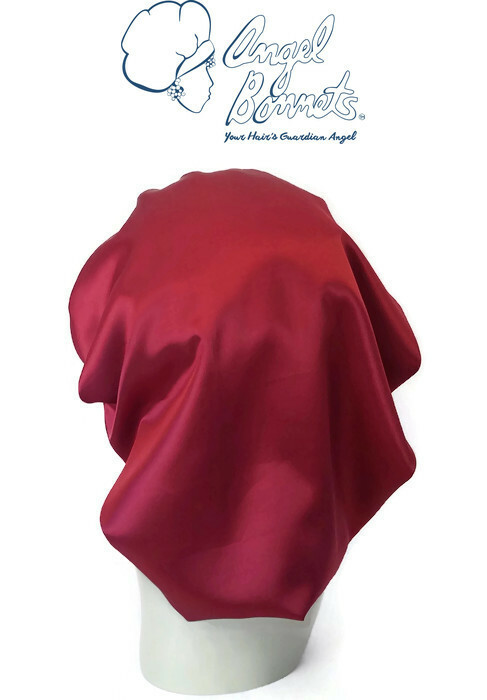 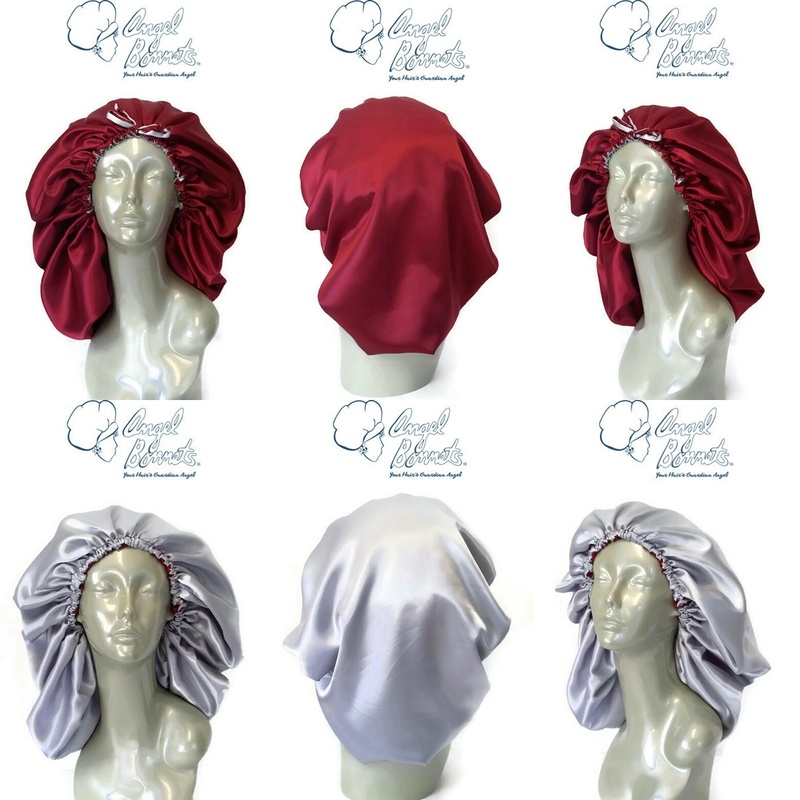 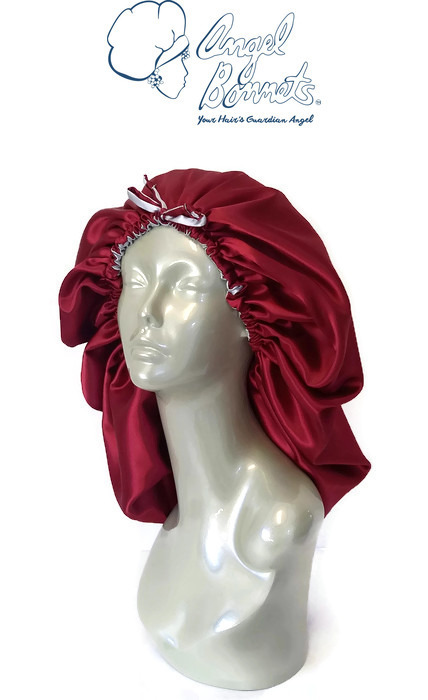 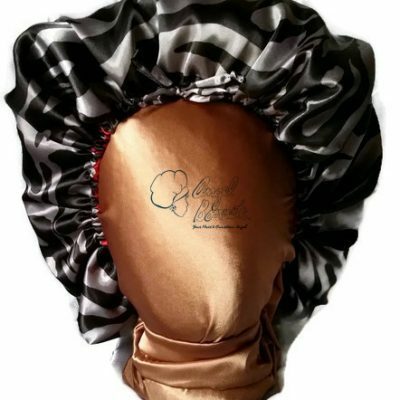 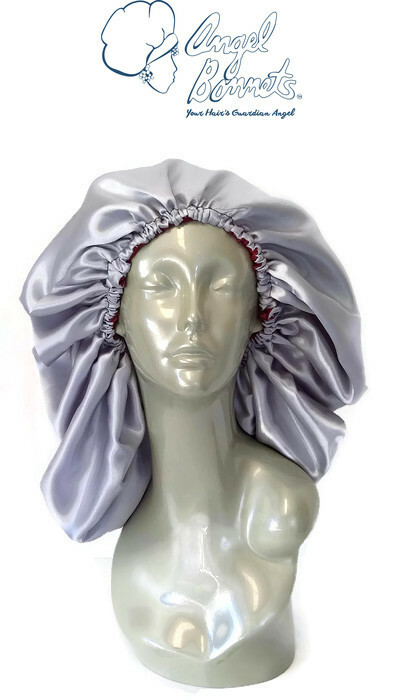 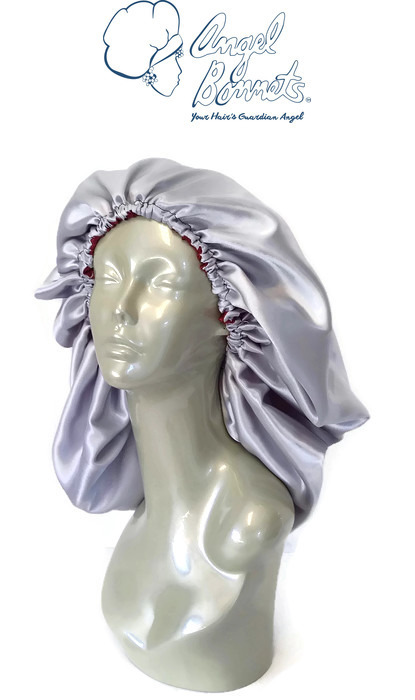 AngelBonnets™ Charmeuse Satin Bonnet in Burgundy with Silver interior. 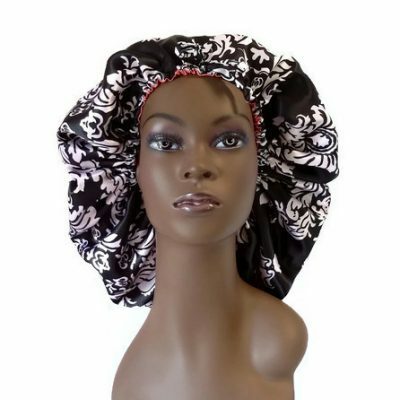 Available in five different sizes; Extra-small 16-inch, Small 20-inch, Medium 24-inch, Large 32-inch and Extra-large 36-inch. 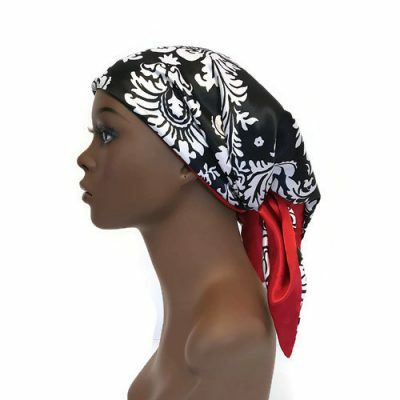 Reversible with adjustable tie of fabric and elastic for the perfect fit and comfort. 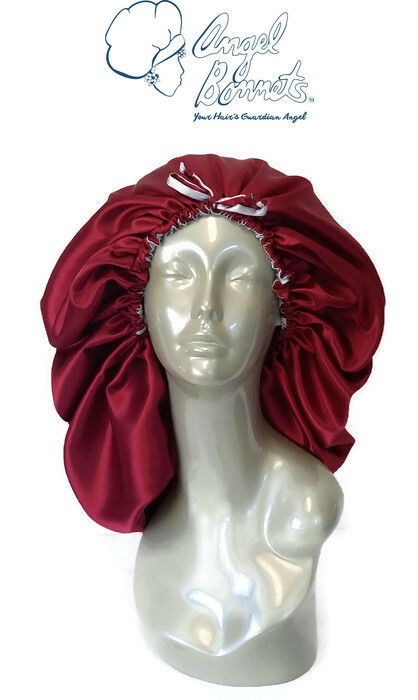 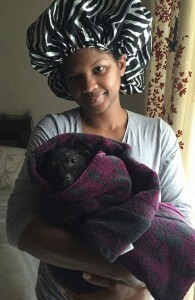 Machine wash cold in lingerie bag. Air dry or tumble dry low in lingerie bag.